(Richmond, IN)--They’re called cryoseisms, and local officials are becoming more convinced that’s what’s prompted reports of gunshots, popping sounds, and loud booms from the same general area of Richmond in the last few nights. 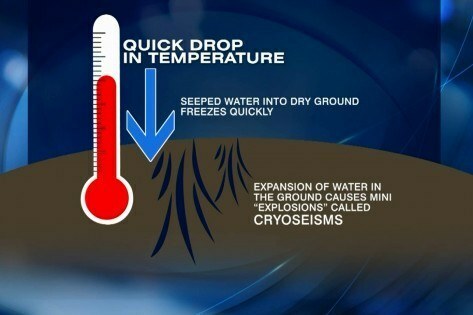 Cryoseisms are also known as ice quakes and are created when water seeps into the earth and then freezes quickly. Tuesday night and into Wednesday morning, there were reports near Henley Road, on Garwood Road, and just outside of New Paris.